The Suit is the epitome of Masculinity. Sheer magic happens when you add a blazer on top of a well cut Shirt and matching Trouser. With this in mind, I thought... why not chuck on a Kilt? 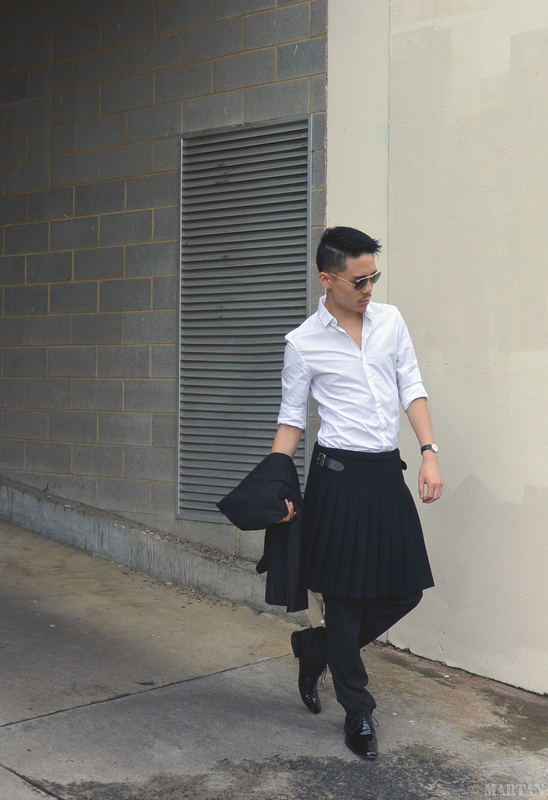 With Luxurious Pleats and subtle Silver Hardware the Kilt adds another layer to the already refined look.